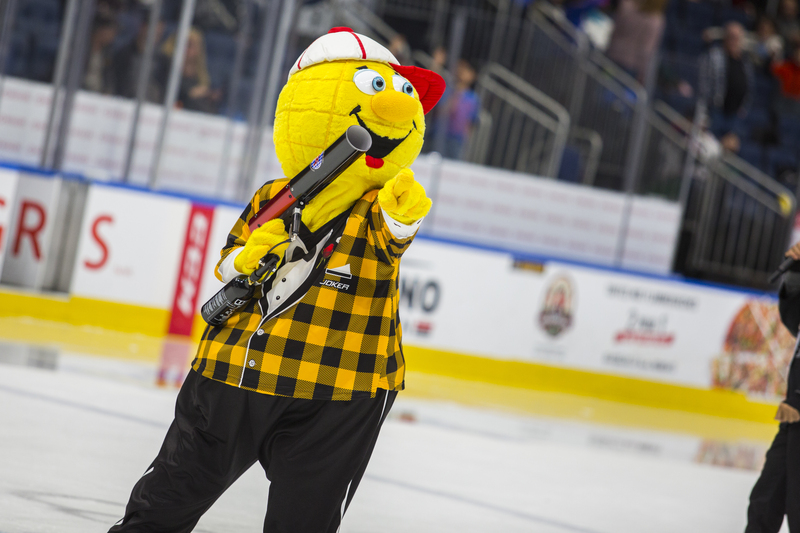 Champ-Pee is the mascot of the pee-wee tournament. Since 2005, he has been animating crowds, making young and old laugh and actively participating in the tournament atmosphere. Watch out ... Champ-Pee is rather teasing! 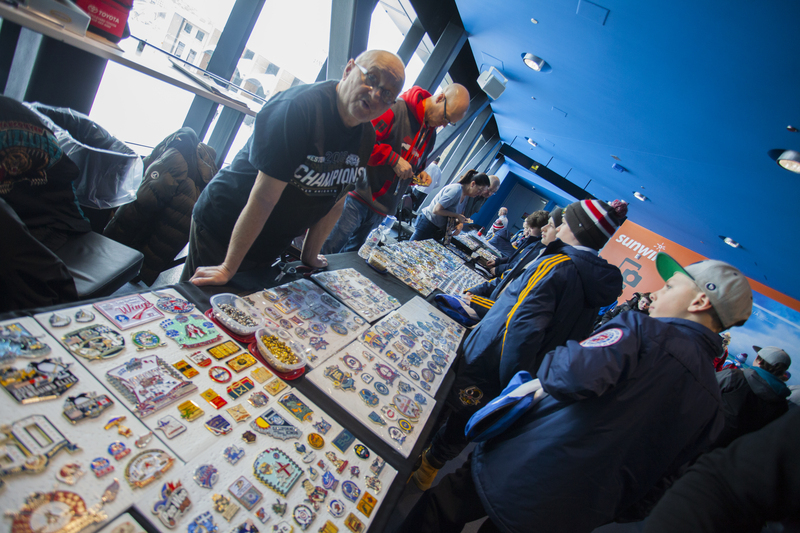 Collections and pin trading are true traditions of the Tournament! Several teams have one made in their own image and give it as a gift to the opposing team during their games. The players, and even some adults, have fun trading them and doing everything to get the most beautiful pin. Don’t be surprised if you see many pee-wees with their pin bags in hand during your visit! 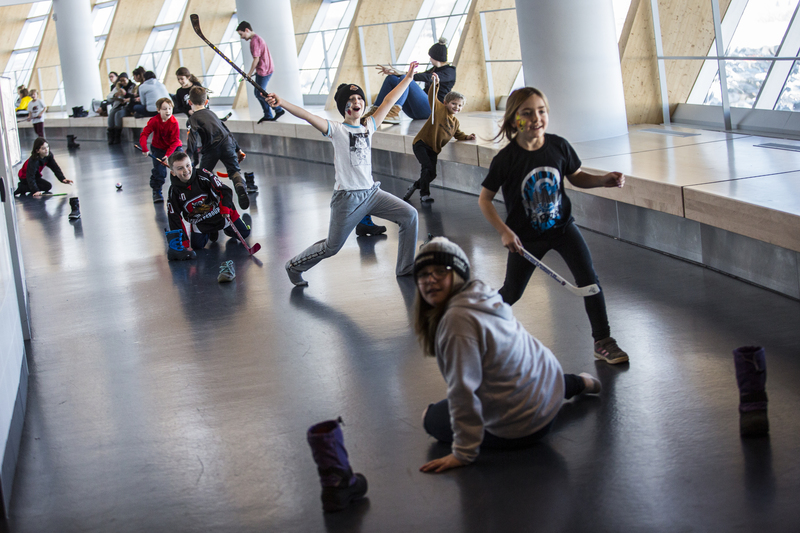 Playing mini-hockey in the corridors of the amphitheater is a must-see activity that has been going on for many years at the tournament. Young people bring a little stick, a ball and that’s it! Hours of pleasure! Be careful when you walk on the main concourse, balls flying everywhere! This famous song, written by André De Chavigny, plays at the beginning of each game during the tournament. With its catchy chorus, it stays in people’s heads for a long time! Will you be able to sing in french?